Where is Canada’s most affordable housing market? A local Canadian housing markets was rated one of the most affordable in a new report that surveys 406 metro areas in nine countries. “For the fifth year in a row, Moncton… was the most affordable market in Canada,” reads the 13th Annual Demographia International Housing Affordability Survey: 2017. For the report, Demographia rated housing affordability by comparing a city’s median family income with its median home prices. 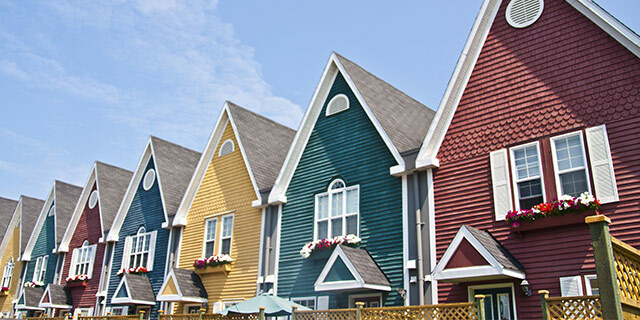 In the third quarter of 2016, the median-priced home in Moncton, New Brunswick, only cost 2.1 times the median household income for the area, placing it in a 10-way tie as the fifth most affordable market internationally. Or, in Canadian dollar values, the middle-priced Moncton home was $134,900, while the typical-earning family took home $65,200. However, the report doesn’t offer a glowing review of the Canadian market in general, especially across its six biggest markets. “The health of the housing market has been deteriorating rapidly in Canada,” the Demographia report, which surveyed Canadian markets with populations of more than 75,000, says. “House prices have been rising well above the economic fundamentals in Canada for at least a decade,” the report continues. With a median multiple of 11.8, Vancouver only trailed Hong Kong and Sydney — which had sky-high multiples of 18.1 and 12.2, respectively — in unaffordability. Toronto’s median multiple of 7.7 has placed it thirteenth among the major markets surveyed. “Vancouver and Toronto house prices increased the equivalent of annual household incomes over the last year,” the report states. Looking at all markets in the nine select countries surveyed, Toronto falls into a tie with Oxnard, California, in the 22nd place. On this scale, Victoria appears in the 20th slot due to its 8.1 median multiple. “The Vancouver ‘ripple effect’ is evident in severely unaffordable Victoria and the Fraser Valley,” says the report. High prices in major urban centres are causing prospective homebuyers to look beyond the Toronto and Vancouver markets in search of cheaper housing. From Hong Kong to Auckland, New Zealand, there is a common cause of housing unaffordability, according to Demographia, which has links to partisan think tanks, including the libertarian Independence Institute. “As in the past, each of the severely unaffordable major markets are characterized by urban containment policy or variations,” the report states. “Unaffordable housing is almost everywhere and every time caused by the same factor: housing supply restrictions,” adds Oliver Hartwich, executive director of the New Zealand Initiative, in the report’s introduction. “The more restrictive the market, the more prices will increase over time,” he adds. These remarks echo views Demographia Principal Wendell Cox has voiced. His 2006 self-published book War on the Dream: How Anti Sprawl Policy Threatens the Quality of Life is unabashedly critical of “anti-suburban” regulations.